Catholic faith-based retirement communities include several housing options ranging from low-income, managed apartments to continuing care communities with a full spectrum of housing and health care options. Retirement communities are sponsored by individual Catholic archdioceses and dioceses, religious orders, Catholic Charities, Catholic community services, Catholic health systems (typically hospital- or clinic-based), or Catholic nonprofit organizations. The best way to find a Catholic retirement community for yourself or a relative is to consult your parish church. Proximity to family and established friendships and a neighborhood community are important factors in the adjustment to a new community and lifestyle. Your church can point you toward the most accessible options to start your search. Below is a brief sampling of what is available nationwide. All have an application process but usually, do not limit applicants to practicing Catholics. St. Anne's Retirement Community in West Hempfield Township, Pennsylvania is located in Lancaster County, less than two hours by car from Philadelphia and about three-and-a-half hours from New York City. St. Anne's is sponsored by the Adorers of the Blood of Christ, a religious community of nuns, and accepts those of all faiths, although it is a Catholic center. The community has daily mass, rosary, and adoration, a prayer group, observation of all Catholic ceremonies, feast days, holy days, and sacraments, and interdenominational Sunday services. Independent living residences include apartments with housekeeping, maintenance-free cottages on tree-lined streets, and large, two-bedroom villas with fireplaces. All residences come with courtesy transportation, a full schedule of community events and membership in the Hempfield Recreation Center which has a pool and fitness classes. St. Anne's also provides memory support, rehabilitation, and nursing care options. Nazareth House occupies five, park-like acres in the Cheviot Hills of West Los Angeles. 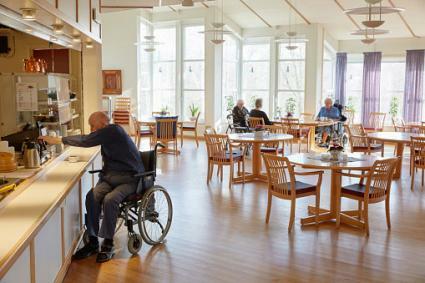 The retirement center is run by the religious order, the Sisters of Nazareth, who maintain several senior living centers in California and a wide network of senior living facilities in Ireland, South Africa, Australia, New Zealand, and the UK. At Nazareth House LA, there is space dedicated to independent living (private suites and studio apartments), assisted living (and additional Care Center), and hospice and palliative care. The Catholic seniors community offers daily mass and Holy Hour, scripture study, spiritual mentoring, daily communion to non-ambulatory residents, and a large well-appointed chapel with an assigned Catholic priest to administer the Catholic rites and sacraments. This is Hollywood, so residents can also enjoy Hollywood Review classic movie screenings, Center Stage Spotlight talent shows, Lights, Camera, Action! movie making -- residents star, Karaoke Nights, Drum Circles, silk painting, and other craft classes, games of chance, and continuing education study classes. Californians are foodies so the dining room menu is restaurant-ready and breakfast is served until late morning. The dining room is open all day. St. Dominic Village in Houston, Texas is a full-service retirement community offering independent living, assisted living, rehabilitation, and nursing care. The faith-based center is located within the Galveston-Houston Catholic Archdiocese and offers Catholics daily mass and rosary, weekly confession (now called reconciliation), and other traditional liturgical ceremonies. It is affiliated with the Texas Medical Center, and St. Dominic's Angel House provides housing for families of patients receiving treatment there. A full calendar features golf, reading groups, craft classes, community board games, a choir, holiday, and seasonal events, card games, movies with popcorn, musical performances, discussion groups and even an annual golf classic and a Superbowl party. St. Dominic provides a fitness center, housekeeping, a dining hall, courtesy transportation, Wi-Fi, 24-hour nursing care, resident parking, a full range of therapies and options for private and semiprivate rooms in the nursing home section. St. Joseph Village of Chicago is a member of Franciscan Ministries Senior Living Communities that offers assisted living, memory support (Alzheimer's and dementia care), rehabilitation and nursing care. St. Joseph's does not provide independent living facilities. 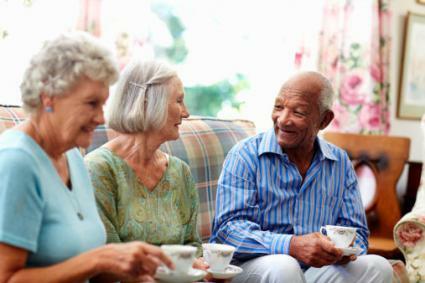 Senior living offers several apartment floor plans, a full-service dining plan and restaurant, housekeeping, courtesy transportation, fitness programs, a spa and exercise rooms, wellness and social activities, a beauty and barbershop, options for gardening and private entertaining, and supportive faith-based activities for all faiths. Catholics have regular mass, prayer and rosary groups, bible studies and discussion groups, a choir, and silent areas for meditation and reflection. The facilities are administered by Franciscan Ministries, sponsored by the Franciscan Sisters of Chicago. The Esquilene, a life-plan community at the National Shrine of Our Lady of the Snows has independent and assisted living and skilled nursing care. Residents have access to the chapel 24/7, and there is a pastoral staff of several Catholic priests and a Protestant minister. The 200-acre grounds include the shrine, the Annunciation Garden, Lourdes Grotto, Mothers' Prayer Walk, Fathers' Memorial Wall, Candelarium, and Millennium Spire. There is an aviary, rose garden, waterfall, 24-hour fitness center with Zumba and other classes, a beauty and barber shop, visits from a dentist, a podiatrist, and a massage therapist, courtesy transportation, an internet cafe, arts and crafts, billiards, German, woodworking, and other activities. Lourdes-Noreen McKeen has daily mass in two on-site chapels. One chapel is in the independent living sector and one is in the nursing home. Daily rosary, weekly Bible studies and confession, and a broadcast morning reflection cater to Catholic residents, as do the many regular and seasonal rites and blessing ceremonies. There is an in-house beauty salon and barbershop. Care level choices include independent and assisted living options, and rehabilitation and nursing facilities. On-site physicians cover a wide range of health services and there are many wellness and fitness programs available at every care level. Lourdes-Noreen McKeen is run by the Carmelite Sisters and offers ecumenical religious ministries for those of Protestant and Jewish faiths. The senior community is located on the downtown West Palm Beach waterfront, just across the Intracoastal Waterway from Palm Beach and convenient to shopping, dining, live performances at many local cultural centers, the weekly greenmarket, an accessible waterfront park and nearby fishing, boating, and beaches. St. George Village in Roswell, Georgia (a short drive from Atlanta) is an independent retirement community owned by Catholic Continuing Care Retirement Communities. The Village offers a "lifestyle, consistent with the traditions, philosophies, and values of the Catholic Church," but accepts people of all faiths. Roswell itself has three Catholic churches and St. George is also affiliated with Emory Healthcare. The community encompasses independent living with a fitness center, indoor pool, walking trails, putting green, planned activities, two restaurants, travel opportunities, and access to public transportation and Roswell's cultural activities, historic district, and shopping. 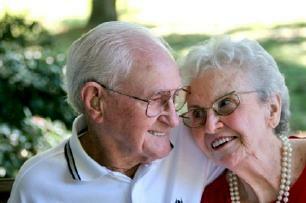 Assisted care, memory care, and nursing care are accessible when needed. The Catholic Eldercare facilities located in Northeast Minneapolis cater to seniors of all abilities, from those who can live independently to those who need skilled nursing care. All residents at all branches of the retirement center have access to daily mass, rosary, perpetual adoration, and pastoral services, nearby and on-site Catholic churches, and amenities and services appropriate for the level of care. Living situations range from apartments with upscale building features such as fireplaces, game rooms, hair salons, private terraces, on-site bistros, rooftop patios and fire pits, convenient public transportation as well as heated parking areas, and more. Admission is not limited to Catholics but the centers provide seasonal liturgical celebrations and rites, lectures on matters of faith such as Advent, and family support at St. Hedwig Catholic Church for those coping with memory loss in loved ones. Mary's Woods on Lake Oswego in Oregon is near Portland on the Willamette River. The continuing care retirement community sponsored by the Sisters of the Holy Names of Jesus and Mary is located on 75 acres, with historic buildings, a college campus (Marylhurst University) that offers continuing education classes to residents, and an ambitious expansion plan called The Village at Mary's Woods. The not-for-profit charitable service ministry is affiliated with the Catholic church but accepts interdenominational applicants. It features independent living in one- and two-bedroom apartments, a residential town square of shops and dining options, access to nature trails, 40 acres of surrounding woodlands, and the Willamette River; a fitness and wellness center, courtesy transportation to Lake Oswego and downtown Portland, Music in the Woods concert series, and full-time pastoral services including daily mass, rosary, and prayer groups. Continuing care options include assisted living, memory support, rehabilitation, and nursing care. The resort-style retirement community attracts artists, writers, professionals and others, and has a 100-year-old historic chapel that's part of the religious Provincial House for the Sisters of the Holy Names. All Saints Neighborhood in Madison, Wisconsin, is owned by Catholic Charities and features a large campus with a traditional Main Street surrounded by gathering places, restaurants, senior-focused retail shops, and a chapel for neighborhood worship. There are over 100 newly-built apartments for independent and assisted living and facilities for continuum care, including skilled nursing and memory care. The community actively partners with nearby parishes to support charitable activities through holiday donation drives and other events. Milwaukee Catholic Home has independent living housing and the full gamut of care options, including assisted living, rehabilitation, and nursing home care, memory care, and an apartment complex owned by the Franciscan Friars of the Assumption BVM Province, managed by Catholic Health Services. Daily mass is offered in two chapels, one in each of the main buildings. The program for the community is centered on spiritual life with a daily rosary, prayer services, and seasonal devotions. An annual retreat for residents, staff, and families provide an intensive immersion in Catholicism and guided prayer. An extra for residents, a community garden on the Franciscan Friars property supplies fresh organic produce for the kitchens that service the housing complex. Cathedral Plaza provides studio to two-bedroom units, with planned community activities, at prices affordable for low-income seniors. The property is a senior community but not a full-service continuing care facility. It's part of the Archdiocese of Denver's Catholic Charities affiliated housing program and is located within walking distance of shopping, restaurants, cultural activities, and major bus routes. 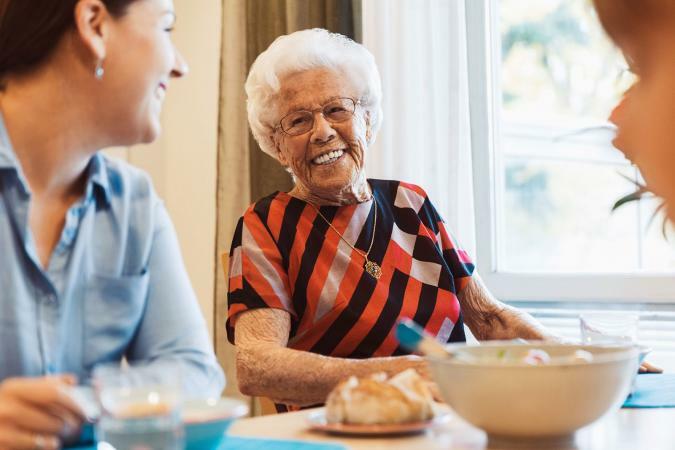 Catholic-sponsored senior communities are an additional option worth exploring for independent seniors who are not in need of advanced nursing care and wish to remain in or near their neighborhoods. A Catholic retirement community provides an instant cohort of like-minded believers who share the history, memories, ongoing ritual, and faith that is sustaining and reassuring. The guarantee of access to sacraments and services afforded to residents at any stage of their journey is an important consideration to aging Catholics and their families. Many of the communities embrace the mission to provide access to low-income seniors who would otherwise not be able to live in a Catholic community. Because there is a high demand for quality, Catholic-based services, it's best to explore future options for joining a Catholic retirement community well in advance of any anticipated move.